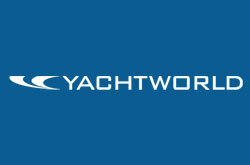 Just released, the Q3 2018 YachtWorld Market Index reports shows a decline in inventory across the United States and Europe, but indicated the rising value per boat and decrease in average days to sale. There is also a special report expanding on the issue of inventory in the brokerage market and how it can be attributed to the 2008 recession, which we highlighted in the 2018 State of the Industry Webinar hosted by Boating Industry. Download the index here and visit our Published Data section.